E-cigarettes have become increasingly popular as a smoke-free alternative to conventional tobacco cigarettes, but the health effects of "vaping" on humans have been debated in the scientific and tobacco manufacturing communities. While aldehydes–chemicals like formaldehyde that are known to cause cancer in humans–have been identified in e-cigarette emissions by numerous studies, there has been little agreement about whether such toxins exist in large enough quantities to be harmful to users. Now, a recently published pilot study by a team of researchers from the Desert Research Institute (DRI) and the University of Nevada, Reno shows that significant amounts of cancer-causing chemicals such as formaldehyde are absorbed by the respiratory tract during a typical vaping session, underscoring the potential health risks posed by vaping. "Until now, the only research on the respiratory uptake of aldehydes during smoking has been done on conventional cigarette users," said Vera Samburova, Ph.D., associate research professor in DRI's Division of Atmospheric Sciences and lead author of the study. "Little is known about this process for e-cigarette use, and understanding the unique risks vaping poses to users is critical in determining toxicological significance." Samburova and fellow DRI research professor Andrey Khlystov, Ph.D., have been investigating the health risks associated with e-cigarettes for several years. In 2016, they published findings confirming that dangerous levels of aldehydes are formed during the chemical breakdown of flavored liquids in e-cigarettes and emitted in e-cigarette vapors. In this study, Samburova and her team estimated e-cigarette users' exposure to these hazardous chemicals by analyzing the breath of twelve users before and after vaping sessions using a method she and Khlystov have developed over the course of their work together. Through this process, they determined how much the concentration of aldehydes in the breath increased. Researchers then subtracted the concentration of chemicals in exhaled breath from the amount found in the vapors that come directly from the e-cigarette. The difference, Samburova explains, is absorbed into the user's lungs. "We found that the average concentration of aldehydes in the breath after vaping sessions was about ten and a half times higher than before vaping," Samburova said. "Beyond that, we saw that the concentration of chemicals like formaldehyde in the breath after vaping was hundreds of times lower than what is found in the direct e-cigarette vapors, which suggests that a significant amount is being retained in the user's respiratory tract." The research team took care to ensure that the test conditions of the study mirrored real-life vaping sessions as much as possible. Most participants used their own e-cigarette devices during the study, used e-liquid flavors that were familiar to them, and inhaled for the amount of time that they ordinarily would, which allowed the research team to understand how e-cigarettes are typically used by regular users. Because they tested "normal" vaping experiences, researchers confirmed that the high concentrations of aldehydes found in other studies aren't limited to laboratory conditions. "Our new pilot study underlines the potential health risk associated with the aldehydes generated by e-cigarettes," said Samburova. "In the future, e-cigarette aldehyde exposure absolutely needs to be studied with a larger set of participants." This research was independently funded by DRI and conducted in DRI's Organic Analytical Laboratory located in Reno, Nevada. 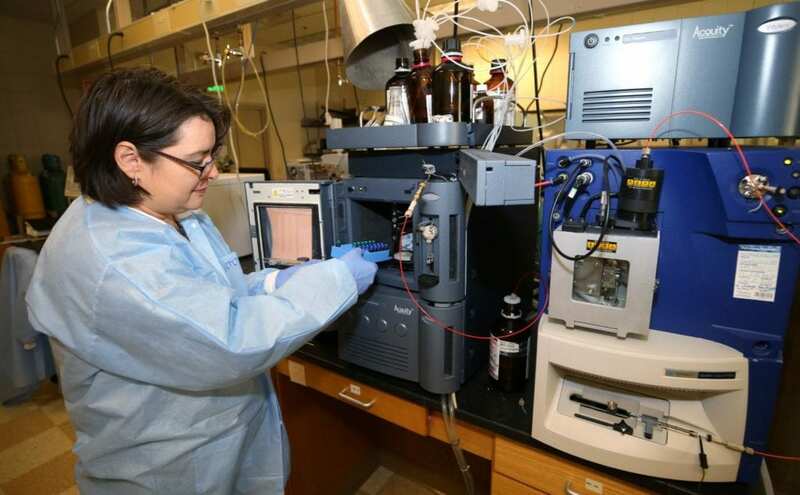 For more information about the Organic Analytical Lab, visit: https://www.dri.edu/oal-lab.